View our pie challenge with Bobby Flay! 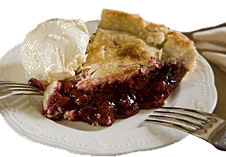 You can sample our pies at this top rated Maine bed and breakfast. Join us in Rockland located near Camden.